Today's guest post and photos are from Andrew Kolasinski. At Parque de las Leyendas (Park of Legends) in Lima you can visit all of Peru’s ecological zones and their wildlife in a single afternoon. It is Lima’s largest and most established zoo. Animals to see: The zoo is divided into three sections; three of them re-create Peru’s distinct environmental zones. There is a marine (Costa) park, a Jungle area, and uplands or Sierra zone, which includes the high Andes. In addition there is an International Zone with animals from around the world including hippopotami, tigers, and lions. The zoo has 73 species of mammals, 28 species of reptile, 20 species of fish as well as amphibians, arachnids, and a butterfly exhibit. Among the stars of the animal kingdom are: pumas, jaguars, crocodiles, spider monkeys, and sloths. You will rarely have such an opportunity to glimpse the Speckled Bear, giant Anaconda, or Black Jaguar. 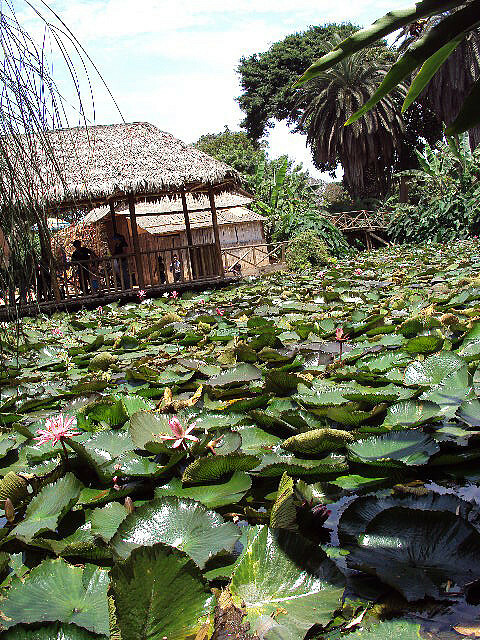 The zoo also features thousands of species of Peruvian plants. Of course, one animal you will see plenty of at Parque de las Layendas is human children. The zoo is a hit with family and school groups, and at times it is difficult to get a good vantage point to observe some of the more popular animals. Inside the Amazonia section the temperature and humidity may seem uncomfortably realistic. Luckily there were no free flying mosquitoes and other jungle pests. Paths connecting the different zones pass though ancient adobe ruins. With the sun blazing down, the arid coastal desert is a great contrast to the Amazon’s shade and humidity, and the marine park’s cool tanks and pools. The zoo is constantly making efforts to provide the animals with more natural elements in their surroundings, but regardless of esthetics, the animals are housed in sustaining environments. Although the Andean Condors hardly have room to spread their wings in their enclosure, these condors contribute to the zoo’s research and are part of a captive breeding program. 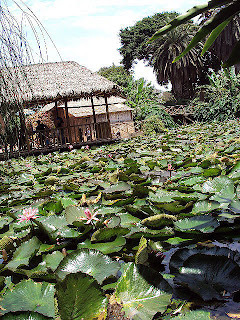 Learn culture and archaeology of Peru: The zoo is tucked among the remains of adobe pyramids and temples. 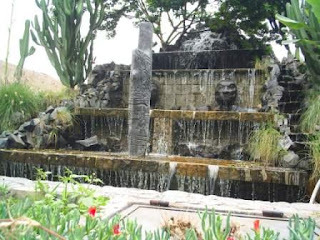 It was a ceremonial center for the Lima Culture beginning in m the first century AD until the sixth century. Successive cultures including the Curacazgo, the Ychsma, the Wari, and the Incas all left their marks here. Some structures date back 2,000 years. The ancient city sat on four kilometers surrounding the surviving archeological site. Maranga was the name of the community when the Spanish arrived. The Lima people and their culture were conquered by the Wari, and finally the Inca. Each successive culture modified the buildings to suit their own needs. There are 53 temples and a small archeological museum with artifacts (including mummies) excavated from the area as well as interpretive displays and re-creations of the living ancient community. The remains of the city’s great defensive wall run through the zoo. In addition to Maranga Archeological displays, the Parque de la Layendas also has a small museum about Peru’s petroleum industry. If you’re planning a trip to Lima, consider contacting Aracari Peru Travel, a leading travel agent in Peru and specialist in custom-designed, unique cultural and travel experiences.